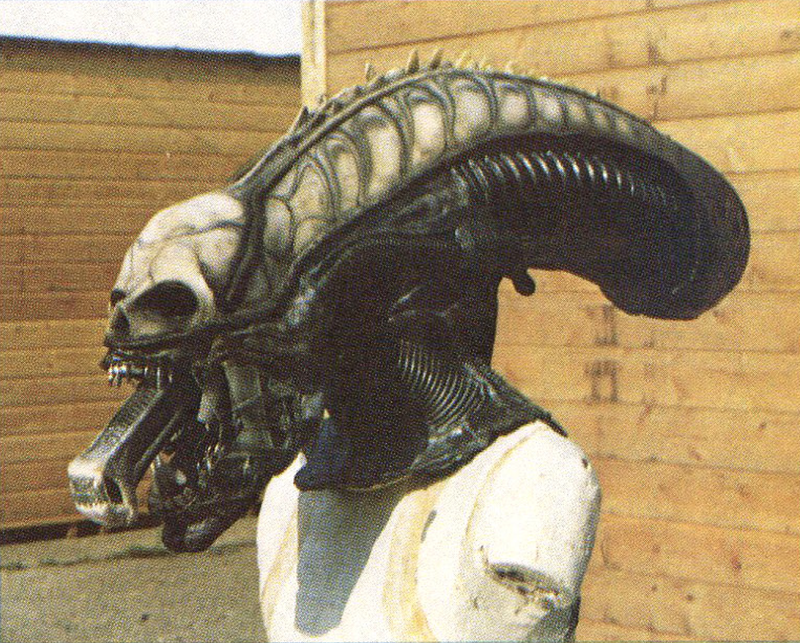 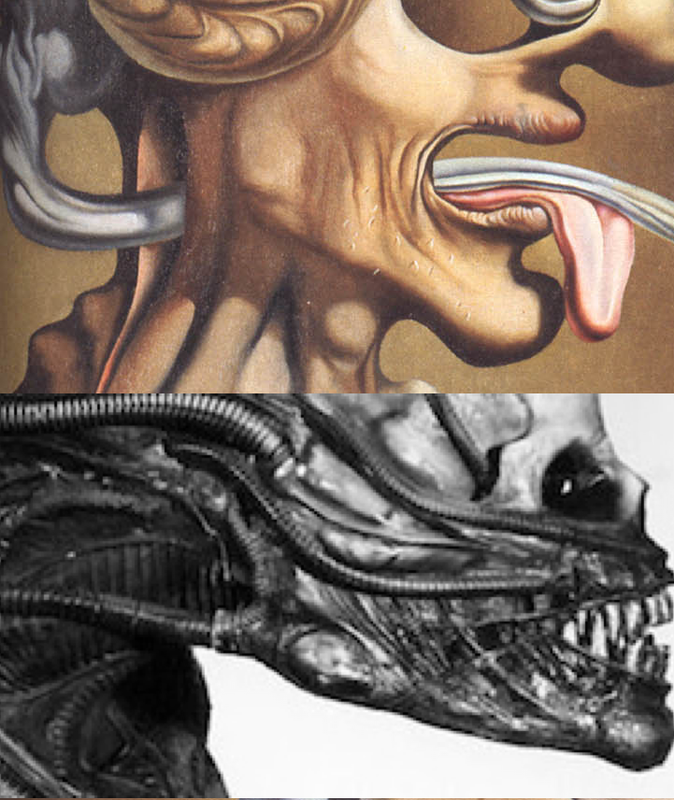 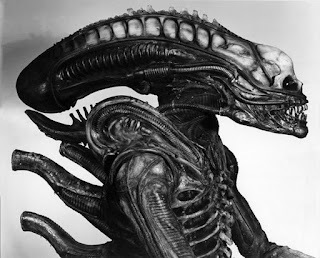 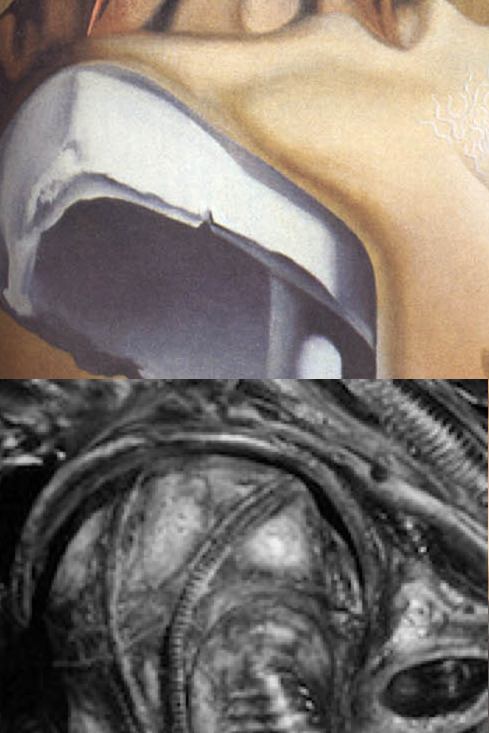 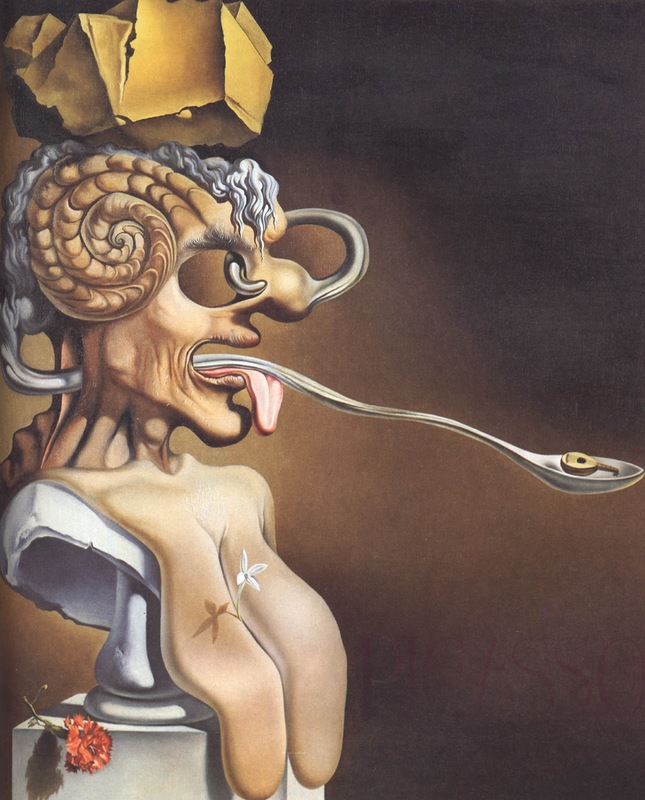 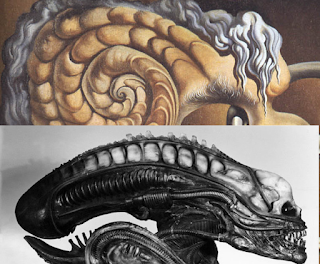 a) Was the Portrait of Picasso by Salvador Dali also something that was referenced in the final Alien suit, which also has a long tongue that comes out but it's a different kind. b) Perhaps the segmented spiraling cochlea like formation from the Dali painting inspired ideas for ribbing patterns stretched across the head. c) Then there's the insertion of a pipe behind coming through near the back of the neck almost reminiscent the piping coming through the back of the jaw much in the way we find one on Necronom I.
d) Where the edge of the flesh on the shoulder stops in the Portrait of Picasso image reveals the sculptural surface perhaps becomes the ridge around the shoulder of the alien creature, showing off a sense of different layers.